This Buyers Guide shows you the features you have to look for when you’re going to buy a long-range rifle scope. Please let us know in the comments if you have other suggestions or think that there are other features that would need to be highlighted. 4.1 What is the most powerful rifle scope? 4.2 What is the best scope for shooting 1000 yards? 4.3 What is the best scope for 6.5 Creedmoor? 4.4 What is the best rifle scope for under $300? 4.5 What scope do I need for 300 yards? 4.6 What is the best scope for a 308? If you are looking for the best long-range rifle scope, then have a look at our buying guide below. We highlight the features to look for and give our recommendations on what scope to buy. When you’re thinking of buying a long-range riflescope then you must be aware of a few important features that need to be taken into consideration. You will most likely have to spend north of $2,000 for a scope that satisfies all of the feature requests of a perfect long-distance scope. Many people do not have that kind of money for a scope so we’ll explain the different features and you can then decide what is most important for you vs. what you can live without in order to get down the price point for the scope. What are the most important features you must look for? Check them out below. We’ve compiled a list of important considerations you have to be aware of when you’re looking for a scope for long-range shooting. It is important to have the right reticle type for long distance shots. Long-range hunting rifle scopes perform the best when they have evenly spaced dots or markings on both the horizontal and vertical axis. These are found in mils or MOA in those riflescopes. Typical names for those are Mildot or in the case of Nightforce the MOAR reticle. In long range shots you’ll have to dial for elevation which means that you have to figure out the distance to the target. You can either estimate this or use a range finder to measure it. Then, based on your rifle and ammunition you’d calculate the drop of the bullet for that distance. You then adjust with the turrets on the scope based on that drop which results in the crosshairs being dead center on the target at 100 yards. The second adjustment you must consider is the hold for wind changes. Specifically, on long range shots you will run into the situation that the wind changes quickly which does not allow to adjust the turrets to compensate for the wind. If you have steady wind, then you can adjust the scope through the turrets and have your target dead center. However, if the wind is changing in intensity or even in direction then the evenly spaced dots on the vertical axis come into play. You might for example adjust your aim by two mils in one direction to compensate for the wind. If the wind now gets stronger than just before the shot, you’ll simply adjust another mil in the same direction, and you’ll hit the target. If that last adjustment wasn’t performed, then the shot would miss the target. This point should really be a no-brainer. However, you would be surprised how many rifle scopes there are where the turret adjustments do not match the reticle. One would think that if you get a mildot reticle you also will have a mil-based turret adjustment. Unfortunately, you can find scopes that have MOA-based turret adjustments which is not what you want. You want the turret adjustments to match the reticle you’re using. Otherwise, you have to start calculating the adjustments between your mismatched items. You can rest assured that you will either miss the shot or your game has wandered off by the time you’re ready with your calculations. Specifically, when you look at long range hunting then the quality of the glass becomes a major factor in your ability to hit the target or not. It probably is the biggest difference you can see between scopes of different price points. Good glass will help you see the target much clearer and will allow you to successfully hit it. 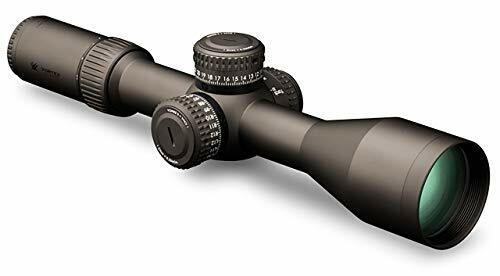 The glass quality is not only a price differentiator, but you can also be pretty certain that high-end manufacturers of riflescopes like Nightforce, Swarovski, Zeiss and Leupold, to name a few, use better glass than no-name brands from Asia that try to lure you with cheap scopes. This point is self-explanatory. The farther the distance you want to shoot, the higher the magnification of the scope needs to be. For long range shooting you should at least have a high-powered scope, like an 18x or higher. Unfortunately, you won’t always shoot long distances because sometimes an animal shows up at a much shorter distance. In that case you also need to be able to reduce your magnification accordingly. An 8x on the low end will for those cases not be enough as you’ll need forever to get the animal into your visual area. 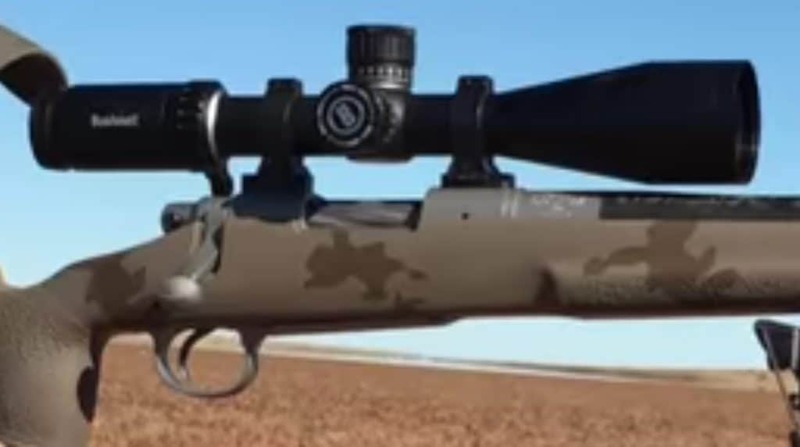 If you’re not using the rifle for hunting but for target shooting, then the lower end magnification is certainly not really of interest to you. 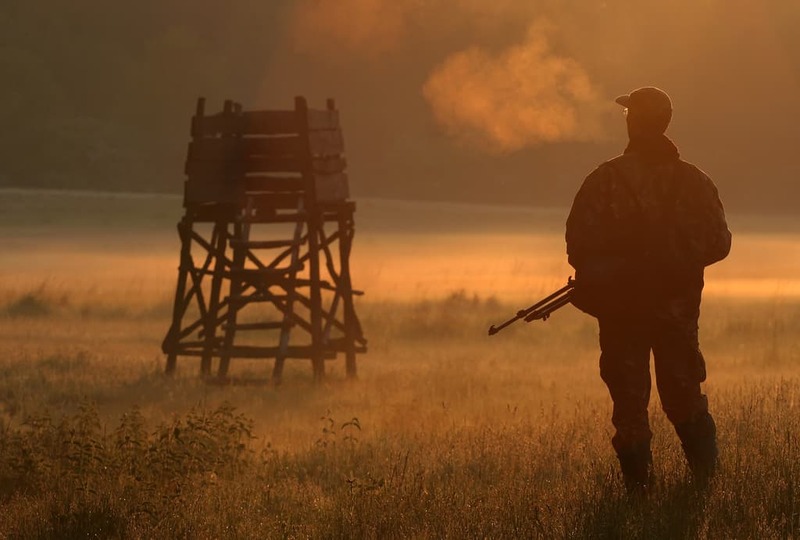 For long distance hunting you should look at ranges from 5 â 20’ish to find a reasonably good compromise. For long-distance shots you will need a scope with a higher amount of adjustment for elevation. The longer the distance of your shot, the higher the range of the elevation adjustment needs to be. Based on your ballistics you might need to adjust by 65 MOA. You better have a scope that can adjust for that amount or otherwise you must hold for elevation with the rifle. That kind of defeats the purpose. You might want to consider having an adjustment range of at least 60 MOA. Typically, scopes with a larger main tube allow for a larger range of elevation adjustment so if you have the choice between scopes with a different main tube diameter then consider taking the larger one for that reason. This point looks at the location of the reticle compared to the ‘zoom’ mechanism of the scope. 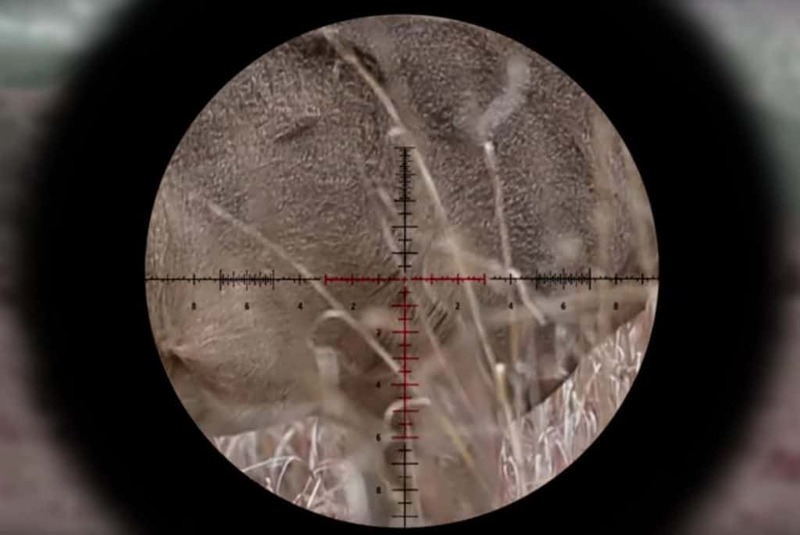 If the reticle is on the first focal plane, then the reticle itself will zoom in and out with the scope. This means that the markers on the reticle get larger and smaller depending on your zoom setting. When you are at the maximum zoom setting then the markers might be a long distance apart while at the minimal zoom setting the markers and that can obscure the target which can lead to wrong aiming. The scopes with the reticle on the second focal plane don’t have the markers zoom in and out. They are always in the same position. At first glance this sounds better but be aware that it has a major drawback. The distance between the markers on the reticle is only correct for one specific zoom setting. So, if you use them to adjust for elevation or windage you will have to calculate the adjustment. If the reticle sits on the front focal plane, then the distance between the markers is always correct (e.g. one mil). This makes it easier to adjust specifically on long-range shots. The objective lens size is responsible for the amount of light coming into the scope. You want to consider what you want to use the scope for. If you’re using it for hunting, then your low-light capabilities matter a lot during prime hunting time of dusk and dawn. In that case make sure that you get the biggest objective size you can afford. If you’re only intending to use the scope in good light conditions, then the difference between a 40mm and a 56mm objective size is barely noticeable. 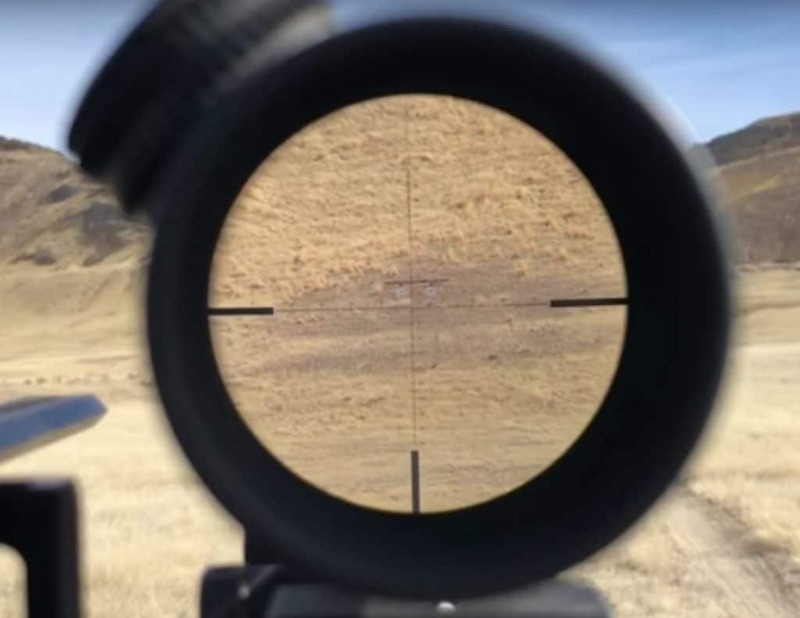 One big consideration certainly also is whether you can mount the scope with a large objective diameter low enough to get the proper eye alignment. When you look through the feature list of rifle scopes then you’ll find a lot of other features that the manufacturers want you to know about. Some of those you find are illuminated reticles, locking turrets, finer grade adjustment turrets (e.g. 1/8 MOA adjustments), â¦ The list is basically endless. A lot of those are nice to have but none of them is as important to consider as the features listed above. 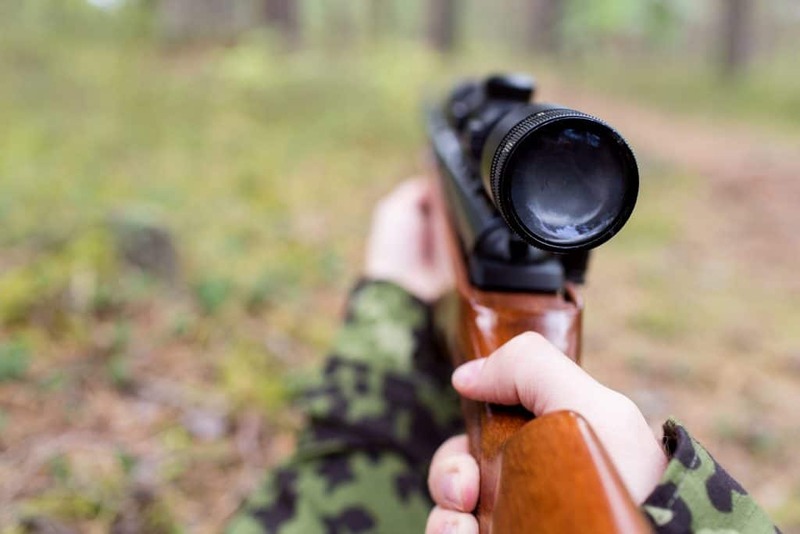 Based on the features listed above we provide below a list of the best rifle scopes for long-distance shooting for the money you can get. We separated them out into different price ranges so you can find a great scope for every wallet. Nikon offers a great value for all the features covered through this scope. There certainly are scopes with better glass and higher magnification. But you’ll have a hard time finding a better scope for this price. With the price of this long-distance scope you can even live with having a mildot reticle and MOA turret adjustments. The objective diameter is 40 mm so it’s on the lower end of what is required for long-range shots but it certainly is acceptable. The tube diameter is 1â which is also not the best you can find but for the price it’s more than good. Overall, a great scope for the price. The VX-3i comes in a variety of zoom levels. The one for long-range shooting is the 8.5-25x. It’s not a good optic for shorter distances. The LRP in the name comes from Long Range Precision showing that this Leupold Scope is specifically designed for that purpose. The scope comes with a TMR reticle that is specifically purposed for long range shooting. The VX-3i series comes in a variety of designs. You can get it with the reticle on the first or second plane and with MIL or MRAD adjustments. The glass is very clear even at large zoom settings. It comes with a 30mm main tube that is made from aircraft grade aluminum. The large tube allows for elevation and windage adjustments of up to 80 MOA. The turret adjustments are 0.1 mils per click or 0.25 MOA depending on which type of scope you get. The objective measures a massive 56mm. Even in less than perfect light conditions you can get enough light into the scope to get a clear and crisp image. 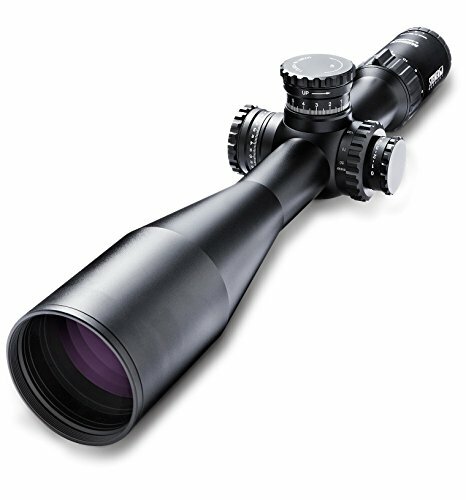 There’s a lot of features in this top-quality scope and it comes at a reasonable price. You might be surprised to find a Primary Arms scope on this list. Yet, they have pushed upwards into the premium marked with their Platinum Series. The glass used on the 6-30x scope is from Japan and ultra-clear. The reticle sits on the first focal plane and is a DEKA AMS MIL reticle. It’s a variant of a typical MIL-DOT reticle. To make target acquisition more straightforward the reticle is illuminated. The objective diameter is a large 56mm and in combination with the high-end glass you get a lot of light into the scope. To increase the amount of light to travel through the tube, they also use a massive 34mm main tube for the scope. The elevation range is a massive 27.6 MIL. The windage can be adjusted by up to 13.1 MIL. This provides enough adjustment even for longest ranges. Primary Arms designed a truly good scope for this price range. It comes with a ton of great features and capabilities. This scope was designed with long range shooting in mind. The glass is outstanding and it is one of the most popular choices of the best shooters around. 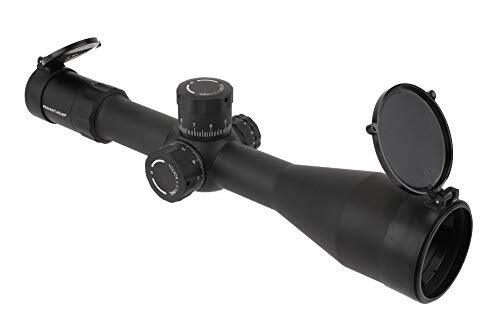 This specific scope is available with MOA and Mil-Dot reticles and turret adjustment options. The objective is 56 mm and the tube diameter is 34mm which allows for extended elevation and windage adjustments. This scope is typically close to the $3,000 mark but when you consider that it basically checks off all the features listed above then it’s worth every penny. This Steiner scope is simply amazing. The glass is spectacular, and it checks off all the features we listed above. 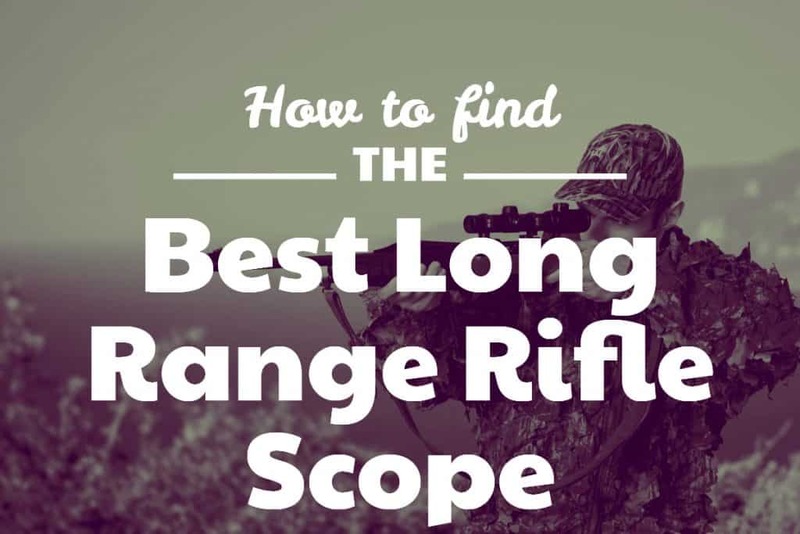 You’ll have a hard time finding a better long-range hunting rifle scope than this. It offers a modified Mil-Dot reticle and can in any way compete with for example the Schmidt & Bender scopes. The outstanding optics in this scope make it one of the top-picks for any serious long-range shooter. There’s no single ‘best’ long-distance rifle scope. The price points are too different, and the different scopes vary too much in what they are good to be used for. If money doesn’t play a role then the Steiner scope is simply the best you can get. Whether you want to use it for target-shooting or hunting, this is the scope to have. If money is an issue, and that’s for most of us, then either of the scopes in the different price ranges will be a good choice. What is the most powerful rifle scope? 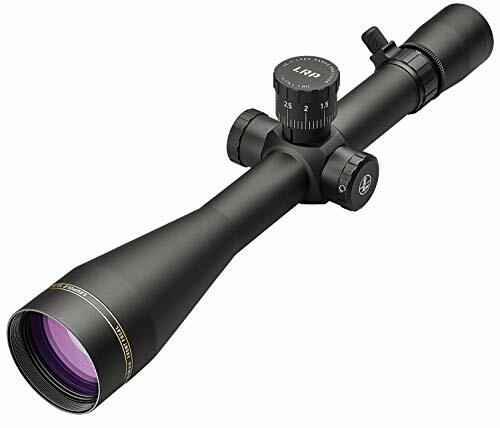 At the time of writing the most powerful regarding magnification is the March Optics 8-80x56mm scope. It delivers a whopping zoom range up to 80x which let’s you target shots way beyond the 2,000 yards. However, this all comes with a few downsides. First, pricing, as you can imagine, is on the very high end. Second, the scope comes in at around 30 oz. If you’re thinking of using it for hunting, then that’s quite a lot of weight to strap onto your rifle and carry around. It’s a fantastic scope for ultra-long- distance target shooting. It’s definitely over-powered for hunting. What is the best scope for shooting 1000 yards? What is the best scope for 6.5 Creedmoor? The 6.5 Creedmoor is designed for target shooting across longer distances. Having said that, you should have no problem using it with any of the scopes shown above. What is the best rifle scope for under $300? A common rule of thumb is to require a zoom power of 1x per 100 yards. The minimum you should look for based on that calculation is a 3x scope. Realistically, you’ll need a higher magnification though. 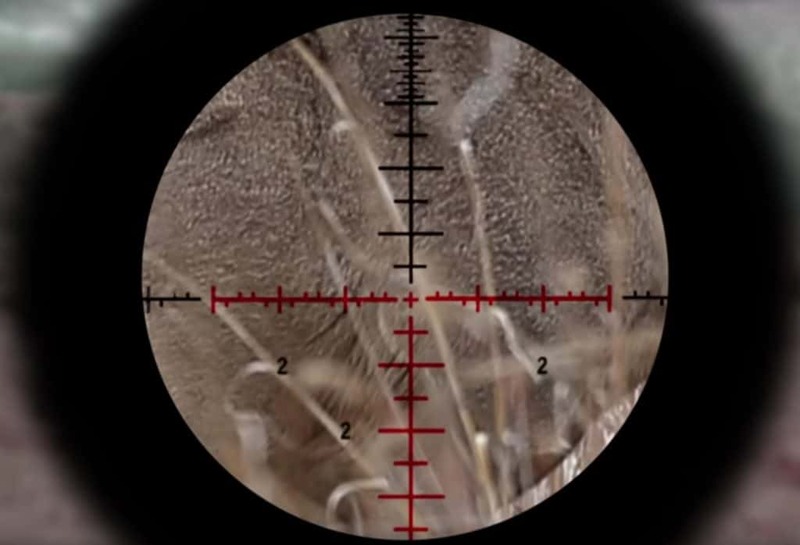 The smaller the target the more magnification you will need. For 300 yards you should be doing well with a 2-8x or a 3-9x variable scope. The 308 is a very common type of rifle. There are a number of great scopes out to match the characteristics of this cartridge. A few things have changed between the list of 2018 and 2019. Some of the scopes we had reviewed originally are no longer available or simply hard to come by. We copied and left the original reviews below in case you are interested to read about those scopes or if you can find one online or in a local shop. Find those reviews at the bottom. 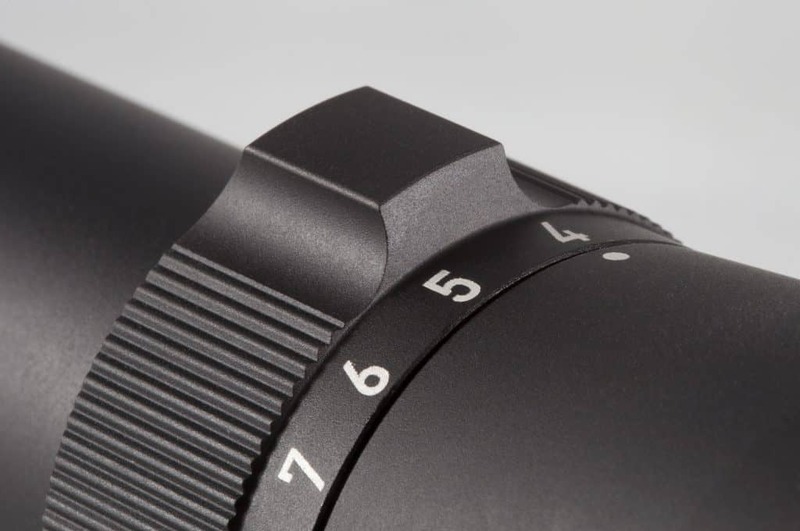 In addition we did discuss to add a Zeiss scope as they are simply outstanding but overall we did come to the conclusion that the scopes on the list are in no way inferior to any newer market entries. We reviewed our list of picks for 2018 and decided that there’s no change from the 2017 lineup. The newer scopes that hit the market in 2017 don’t really seem to have an upper hand to the ones listed above. So, we came to the conclusion to leave the list as is and keep an eye on new introductions during 2018. If any new scope is better than what we listed above then we will switch it out and let you know in the updates section here. It’s a lower end Leupold with great optics. The glass on this scope is great and it comes with a Mil-Dot reticle. The turret adjustments are mildot (0.1 mils per click). The objective size is 40 mm and it has a 1″ tube and thus is on the lower end for both of these features. 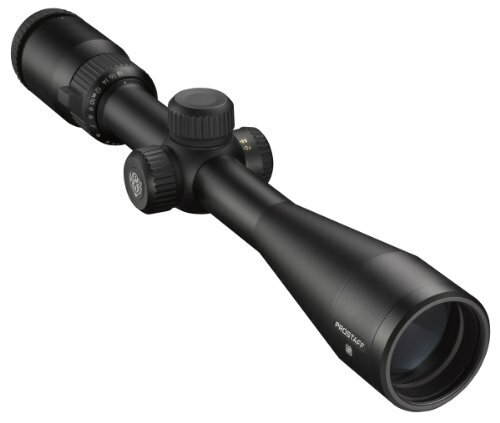 This scope offers a great set of features and quality for the price. One of the best buys you can get. This mid-range Leupold scope offers a lot of features simply a little better than our choice for the under $1,000 range. The glass is somewhat better, and the objective size is 50 mm. The tube size is 30 mm instead of one inch and this allows for larger Elevation and Windage adjustments (70 MOA). A great scope for the price.